Very excited about the new benefit tier structure for patrons. Please check out my patreon page for more information. New shawl design on the horizon and a call for test knitters. Big changes to the benefit tiers. Thank you for all your suggestions and feedback. I hope you love these new options. "Porch Light" - Estimated release date is May 1st. Call for test knitters for "unnamed shawl"
Thank you all for making this possible! Love you all. See you next week. This week I release a skein of yarn to yarn heaven, thanking it for the joy it brought and mysteries it solved. I show off the stunning progress I've made on my blanket (uh, huh...) and introduce you to my latest design: Porch Light. Join me! Giveaway coming up to celebrate Episode 100! Upcoming pattern is "Porch Light" Estimated release date is May 1st. Some bad math has caused issues with the Porch Light design. My sweater yarn order has arrived and all I want to do is cast on. Temptation is at an all time high. Will I succumb and cast on, or will i persevere and finish my design? Also includes a silly gift unboxing, fuzzy friends updates, studio enhancements and the Patreon drawing. THANK YOU for supporting Paperback Rider Little Free Library Fundraiser to purchase a tricycle to help distribute books for free. WE DID IT! 100% PLUS FUNDED!! Love you all! Thank you ALL for your love & support! Go spring into something new! 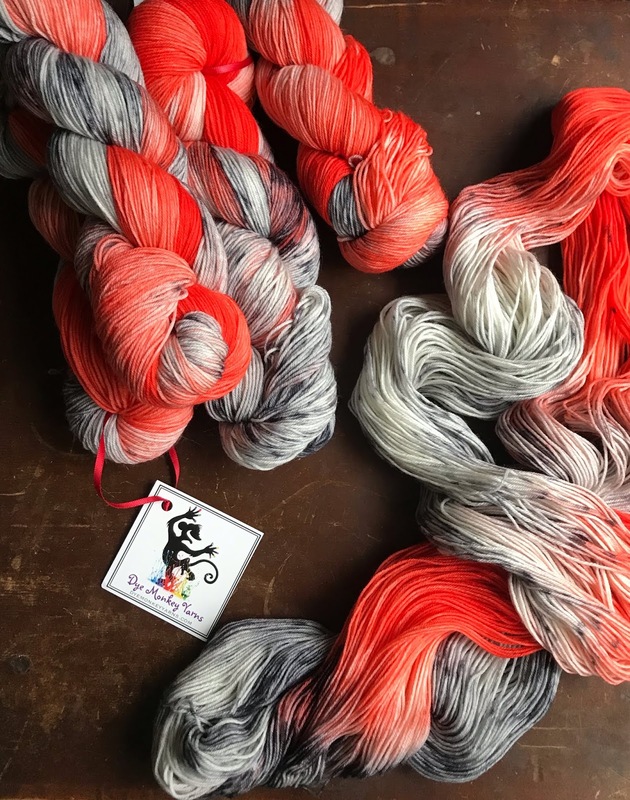 I am ridiculously proud to announce that together we have raised $461.39 through Dye Monkey Yarn sales (10% of all sales in January 2019) and the sale of the exclusive Paperback Rider colorway (50% of every skein)! I have made a "to-date" donation to help enable Terri to place the down payment and order for her new trike so that construction may begin and delivery can be made possible in time for spring. We are still $1026 shy of the goal. To that end, I am extending my donation of 10% of all sales through February 2019, 50% of every skein of the exclusive colorway will continue. AND, I am adding 50% of all sales of my knitting patterns through Ravelry through the month of February 2019. Please consider making a direct donation via www.gofundme.com/paperbackrider. I show off my progress on my How to Eat an Elephant blanket, my prep work for the Squircle sock demo, announce my next trip to Unwound in La Crosse, WI, and draw the winners for this month's Patreon drawing. Thank you everyone for hanging in through my choppy edits.